In most people’s minds, the development of art (more specifically Western art) in the twentieth century appears pretty linear. It starts with Manet – the father of Modern Art – and the Salon des Refuses in France and moves through the ‘isms’: French Impressionism, Post-Impressionism, Symbolism, Expressionism, Cubism… etc. etc., without much divergence or digression. Conversely to Dubuffet’s teacher’s dismissal of art not accepted by the Establishment, I for one can certainly see comparisons between the work of ‘outsider artists’ and the Manets, Matisses and Mondrians of the Modern Art world. 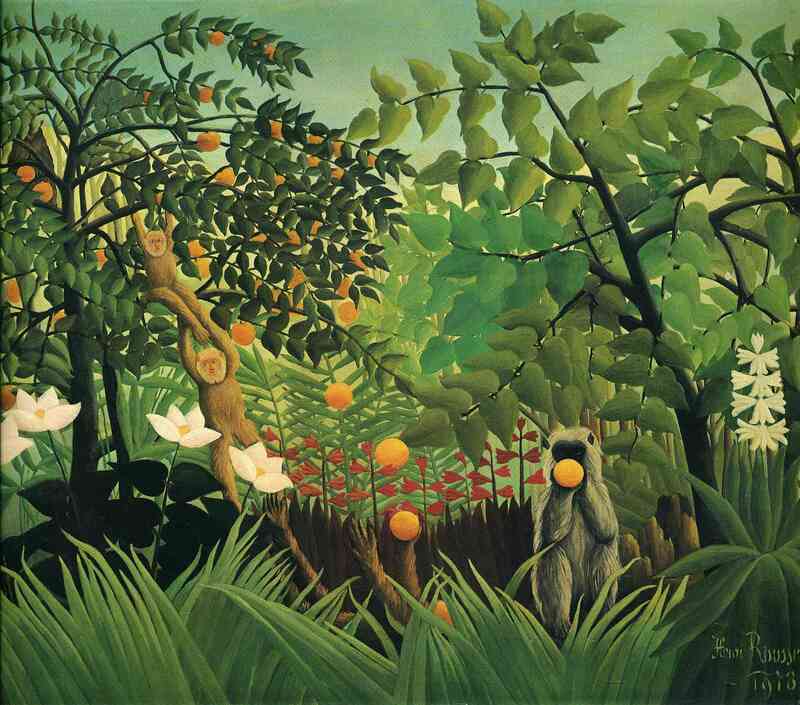 The most glaringly obvious comparison (although I’m not a fan of comparisons) comes from the contradictorily all-encompassing Expressionism – which could in theory act as the sole ‘label’ for all of its preceding movements. The essential idea behind Expressionism (which originated in Germany in around 1910) was that “art should not be limited to the recording of visual impressions, but should express emotional experiences and spiritual values.” I think these descriptions also aptly define the majority of works of ‘outsider art’ – raw and emotive, spiritual; a visual incarnation of the inner voice. At the time of increasing popularity for German Expressionism, the artists who aligned themselves with the ‘movement’ were becoming aware of ‘outsider art’. They were inspired. 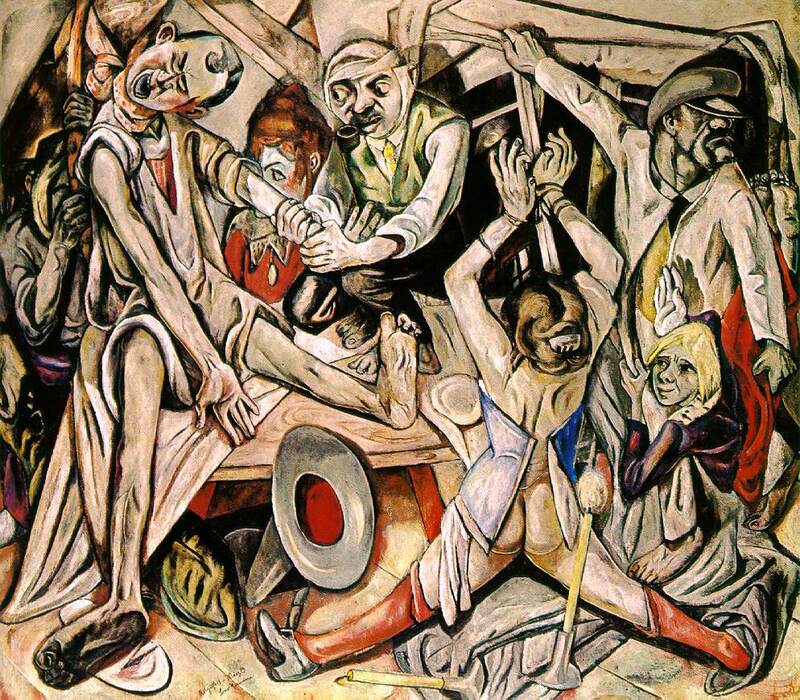 The psychologically isolated mechanical era of industrialisation in Germany combined with the imminent threat of war led artists such as Max Beckmann to look for a new language for these continuing contextual dilemmas. German Expressionists looked to convey certain aspects of ‘outsider art’ in their own quest to create a language that was undoubtedly a critical response to contemporary political and social problems. So… How is ‘outsider art’ so often excluded from the rigid linear progression of twentieth century Modern Art when it so obviously informed one of the biggest movements of this era? There are even more glaringly apparent comparisons as we move towards the present day, with the rise of the ‘Ready Made’, or of the ‘Found Object’; both an illustration of the Modernist revolt against traditional materials which saw artists attempt to demonstrate that art can be made from anything. 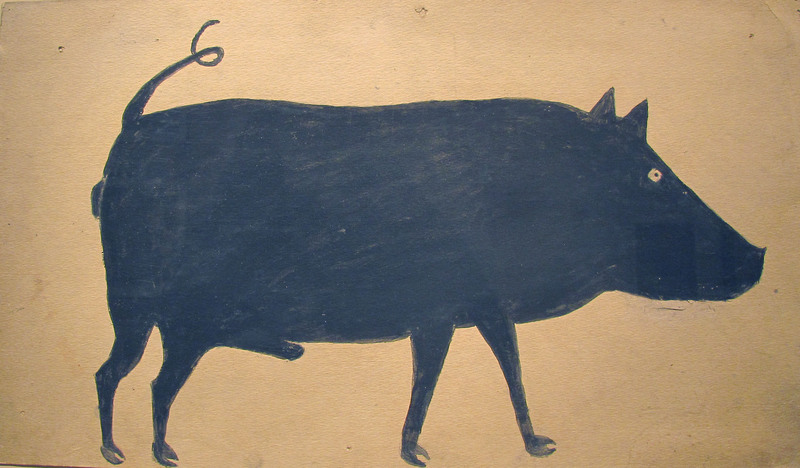 A lot of the most well-known ‘outsider artists’ used any materials that they could get their hands on. Although perhaps not a conscious choice – like those rebellious Modern artists – ‘outsider artists’ are often renowned for their innovative use of found materials. 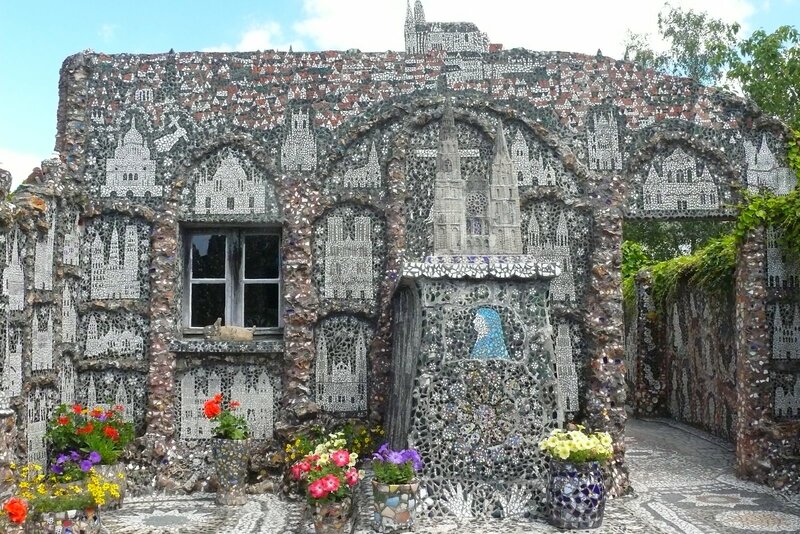 One of the most famous examples is Raymond Isidore’s ‘Picassiette’ – his embellished property, which he decorated with salvaged shards. Perhaps most ‘outsider artists’ could come under this ‘category’, for many of them used non-traditional art-making tools such as toothpaste, or in Traylor’s case, the backs of discarded posters and cardboard scraps. The celebrated ‘outsiders’ of today may not have been critically acclaimed at the time, but – luckily – they have not been “neglected and finally lost without a trace”; as Dubuffet’s teacher claimed of most art “alien to established culture.” The more we look back at the development of Western art in the twentieth-century, the more we can start to place pioneering ‘outsider artists’ into the canon of Modern Art. Perhaps with hindsight we can look back at ‘outsider art’ made during the twentieth century and realise that the term has, in fact, been obsolete this whole time.